Our Herbal Iced Drinks by Shelita Thomas "Love Shack" are growing. This week we launched a new mix that Shelita likes to call "Summer Bliss"
A very cooling and calming effect, don't forget tasty! Also try Shelita's "Summer Glow" for beautiful skin and a warm tingle. This combo includes Sarsaparilla, White Tea, Rose Hips, and Rosemary. Both elixirs are unsweetened, dairy free, gluten free, paleo friendly, and many other good things. Come have a sip at Ivy Bakery | 138 West Houston St. Between Mc Dougal & Sullivan St. Follow Shelita Thomas on Facebook! 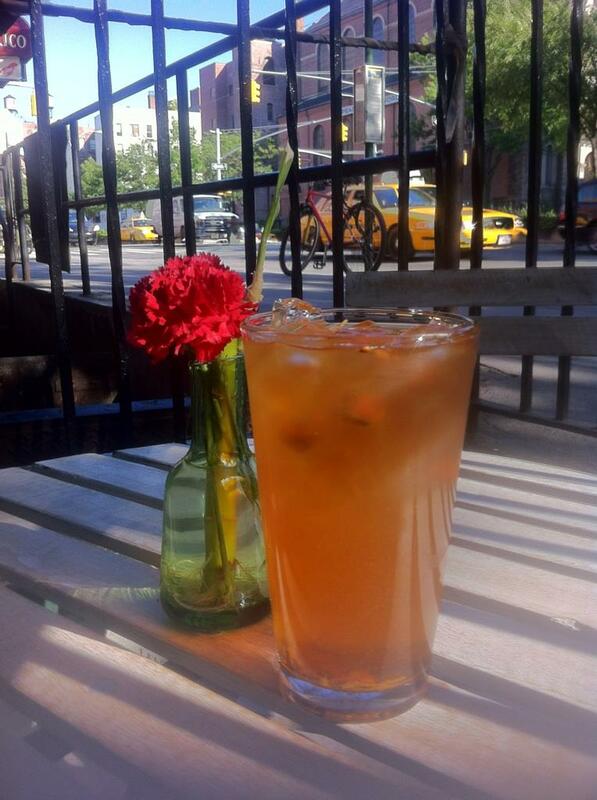 We also have a large selection of Iced Sodas, Coffee, Espresso Based Drinks, Tea, and our Fresh Homemade Lemonade! Sun, Sand, and the Website.